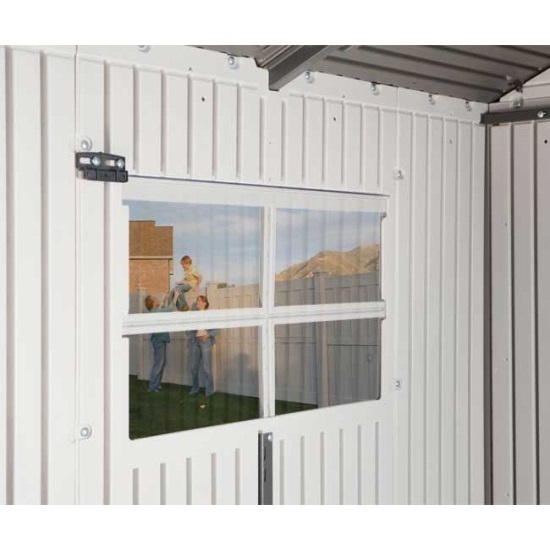 Lifetime Storage Sheds - Model 60042 7x7 ft. Shed with 2 Windows. 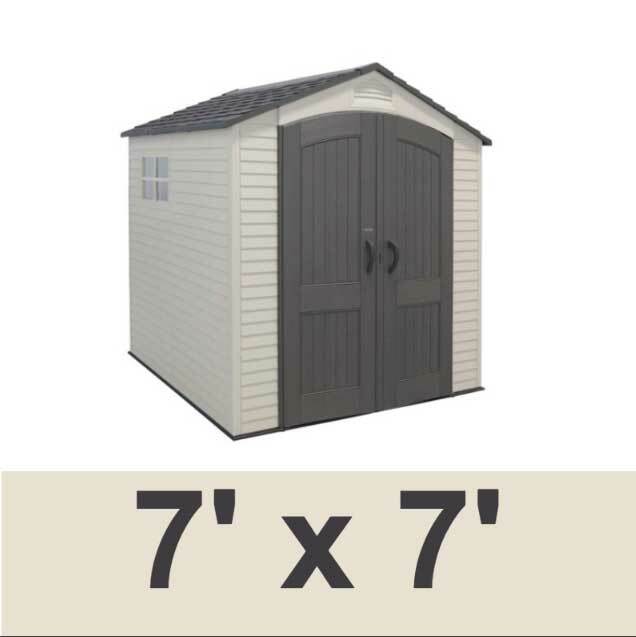 Shipping costs included in the price of this Lifetime shed when shipped to the lower 48 states. 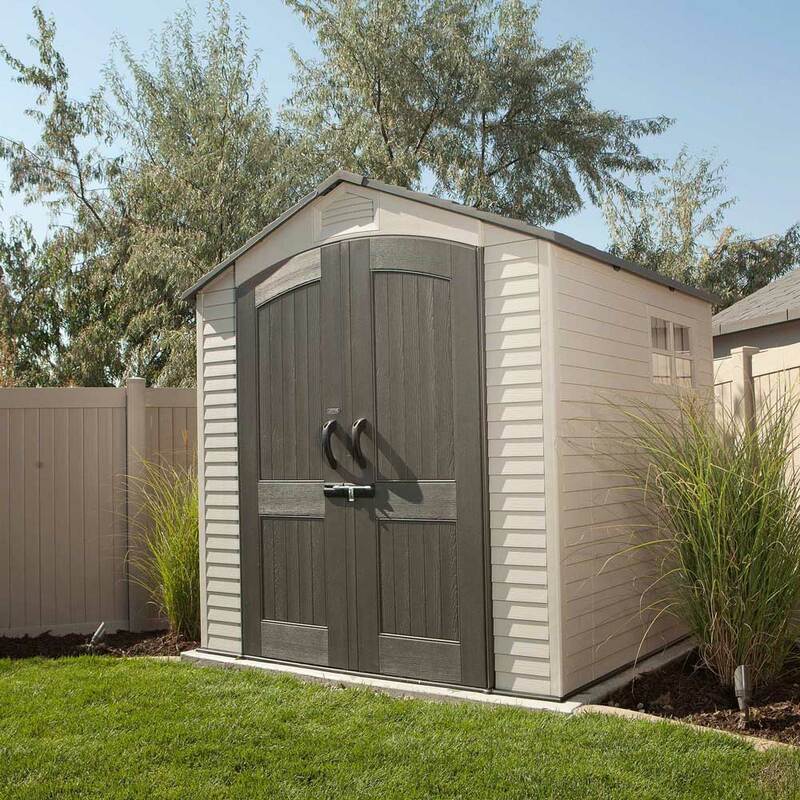 The 7x7 ft. size of this outdoor shed is perfect for storing your outdoor equipment like lawnmowers and gardening tools. 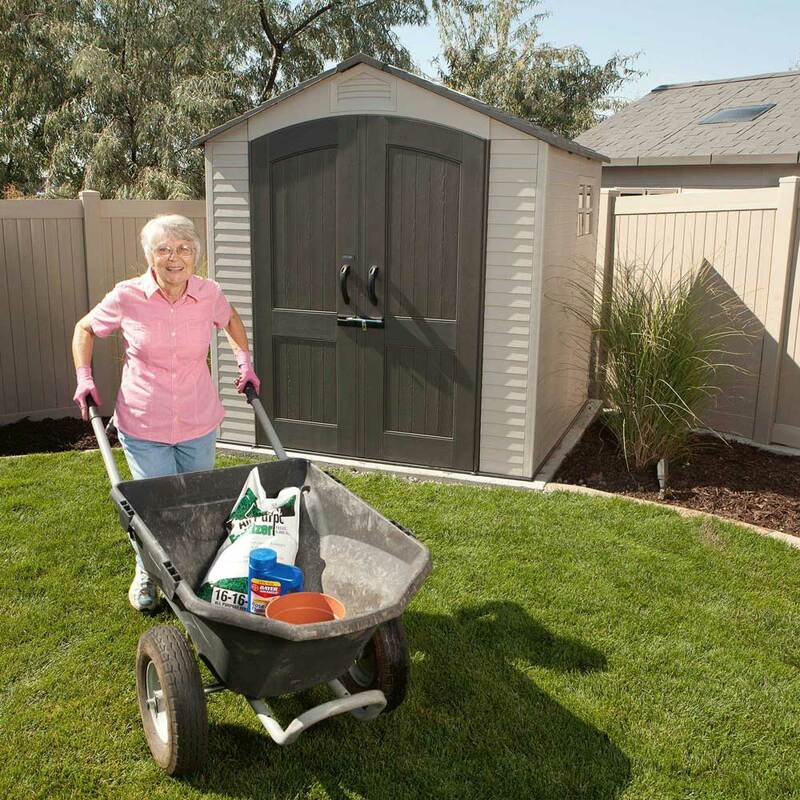 Lifetime sheds are designed with polyethylene plastic doors, walls, roof, and floor. 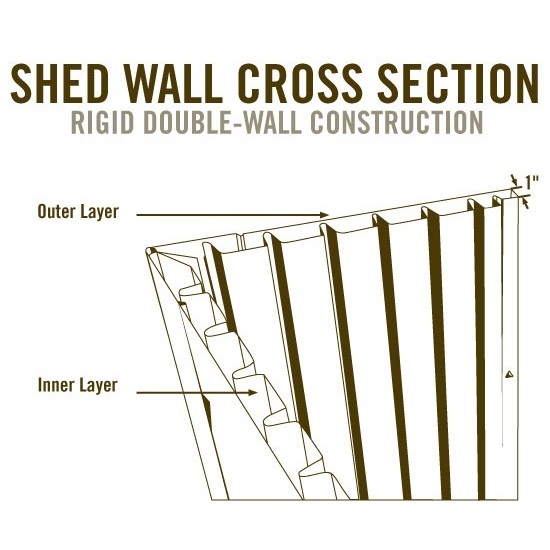 The shed uses a paneling system to assemble to unit. The walls and roof are reinforced with powder coated steel. This shed differs from the 60014 Lifetime shed by adding an additional window panel to the 60042. Order your Lifetime Sheds here. Includes a 10-year manufacturer's warranty. 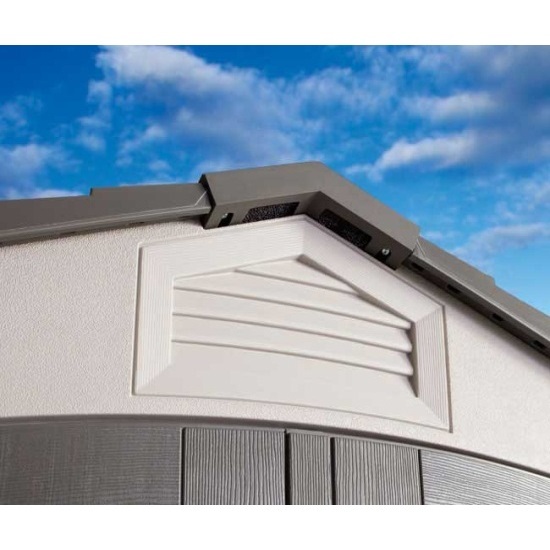 Uses High-Density Polyethylene (HDPE) plastic in its construction. 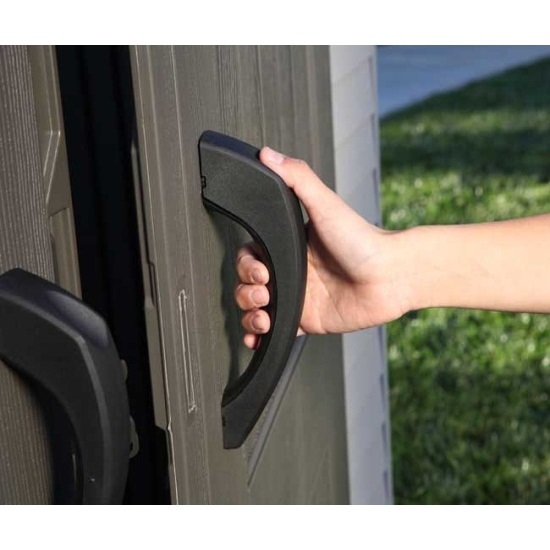 Unlike other plastics, HDPE plastic does not fade, crack, or peel when exposed to UV radiation. Maintenance free. No need to ever repaint or touch of the walls, roof, and floor unlike wood sheds. 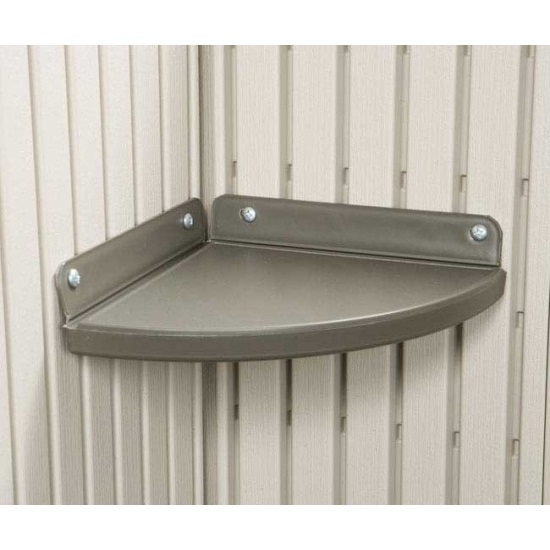 Walls are double walled with HDPE plastic for added stability. 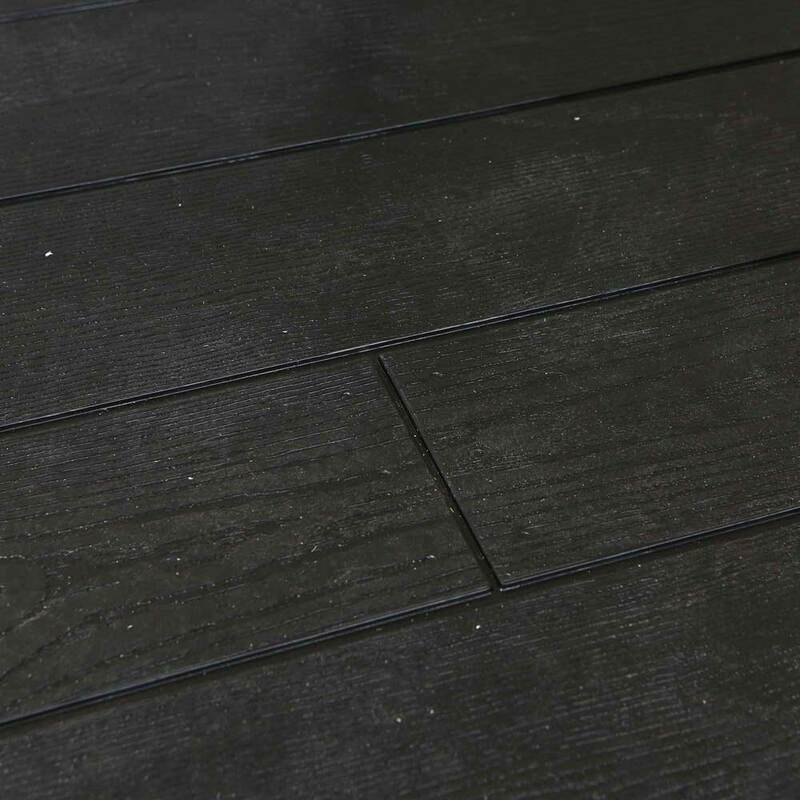 Flooring has a blow-molded surface that helps resist slipping. 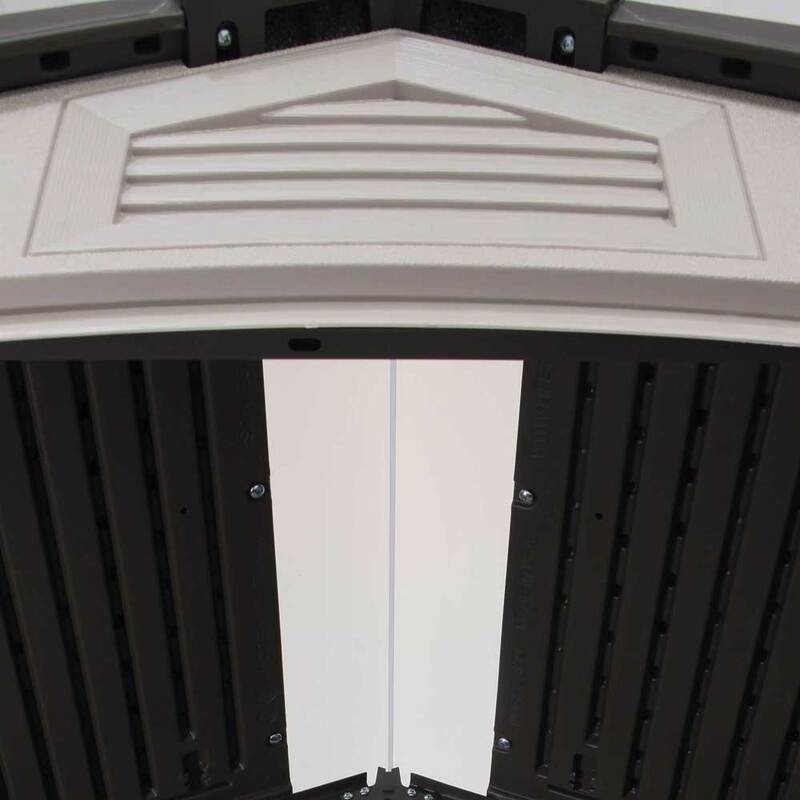 HDPE plastic is also stain resistant, making this shed very easy to clean. Walls and roofing are both reinforced with steel. Steel is powder coated to help resist rusting. 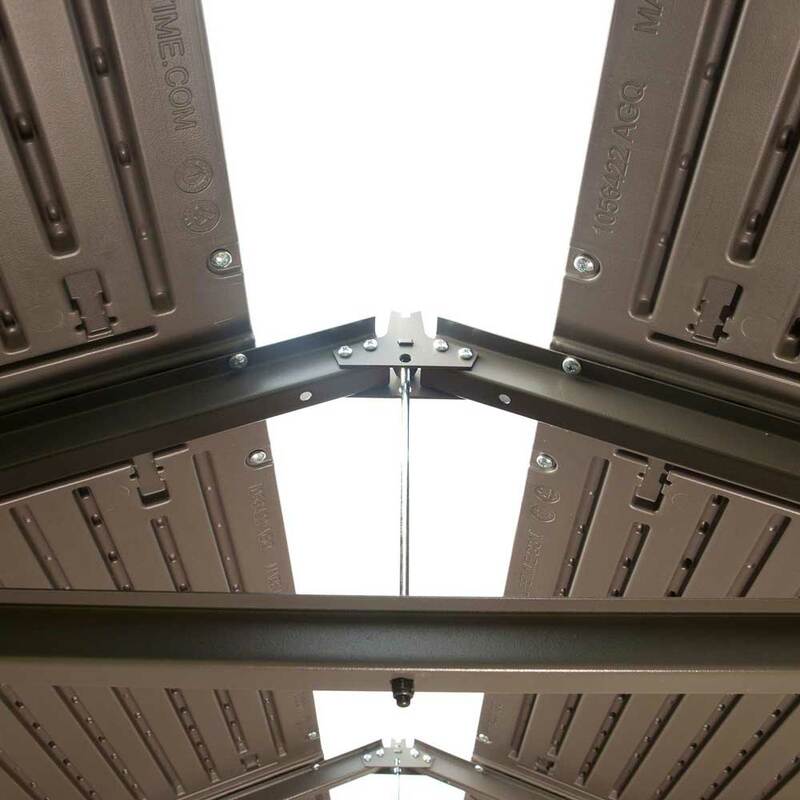 Steel channels in the roof trusses help direct any water seepage outside of the shed to keep inside contents dry. Nominal Dimensions: 7 ft. x 7 ft.
Full length skylight that runs the ridge of the roof for extra light. Footprint: 81.375 inches W x 82.625 inches D.
Exterior Roof Depth: 84.125 inches. Exterior Roof Depth: 89.625 inches. Door Opening: 54.25 inches W x 75.5 inches H.
Window Opening Dimensions: 23.0 inches W x 12.4 inches H.
Interior Height Minimum: 70.25 inches. Interior Height Maximum: 88.3 inches. Square Feet: 42.52 square feet. Cubic Feet: 280.75 cubic feet. Snow Load Capacity: 40 lbs. per square foot. Product ships via an LTL carrier directly from Lifetime's warehouse in Clearfield, Utah. 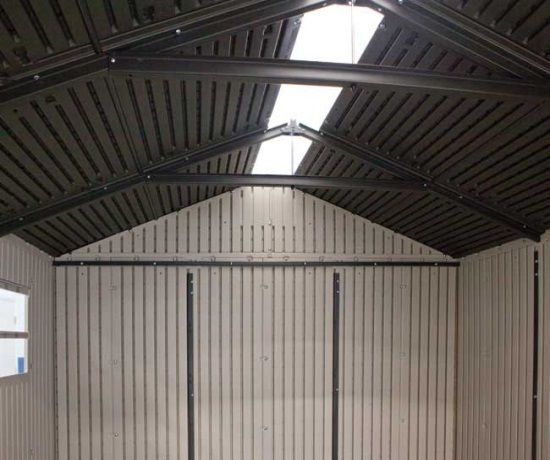 Delivery of the storage shed is a curbside delivery, which means the customer will need to present to sign for the delivery and to help unload the product. Total shed packaging weight: 394 lbs. Total packaging dimensions: 84.75 inches x 30.50 inches x 25.5 inches. 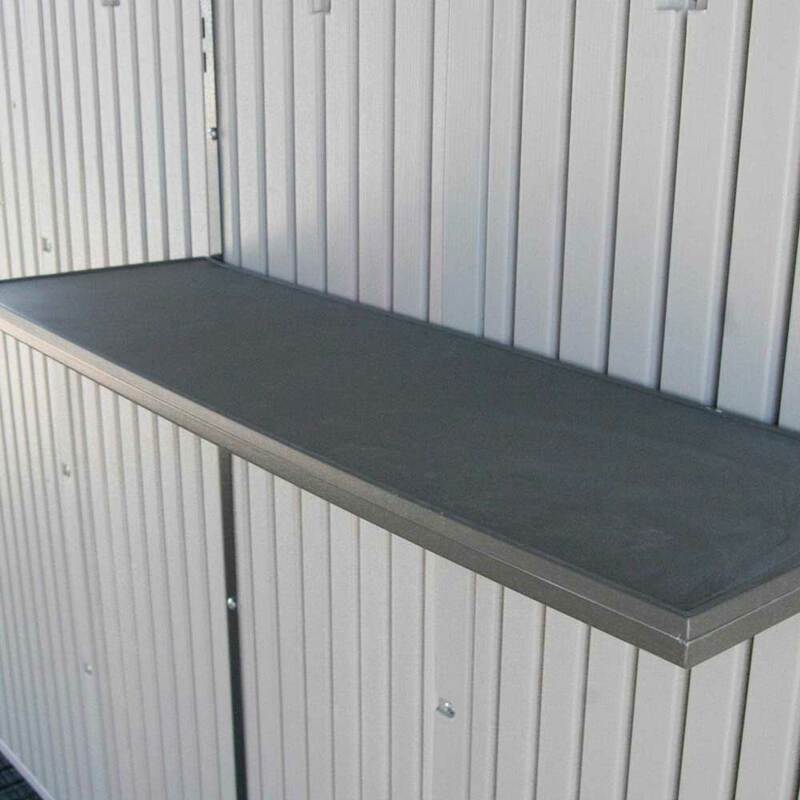 Please note that this storage shed does not qualify for the free shelf promotion as seen on most of our shed listings - the reason being it is currently running on a promotion at a discounted price instead. 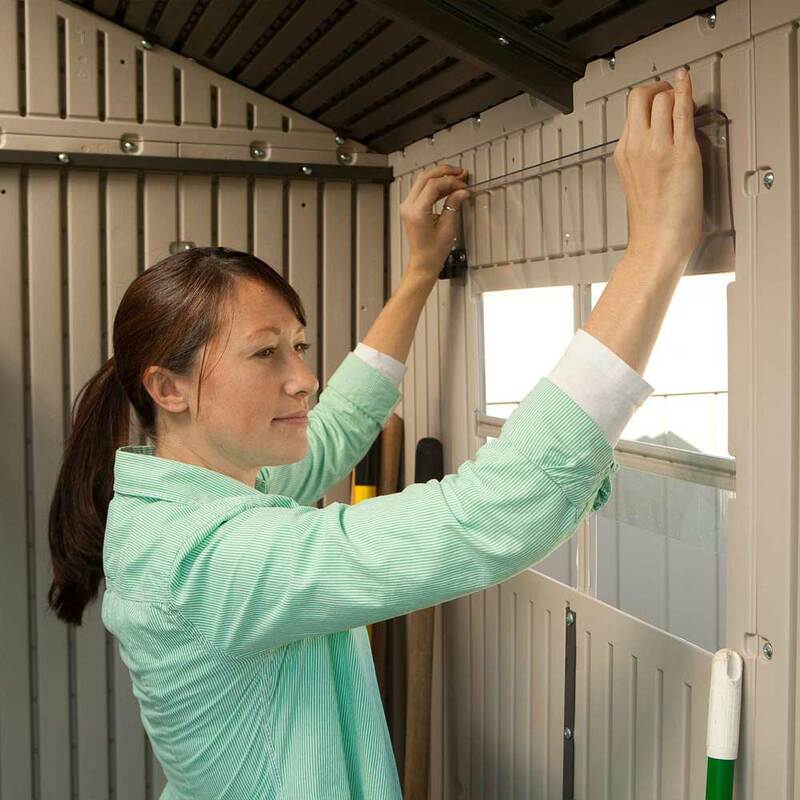 For this shed customers often prefer a discount rather than free accessories that they often have no need for. Customer image used with permission. Thanks to Mr. Farina for sharing. Shutters and planter not included. 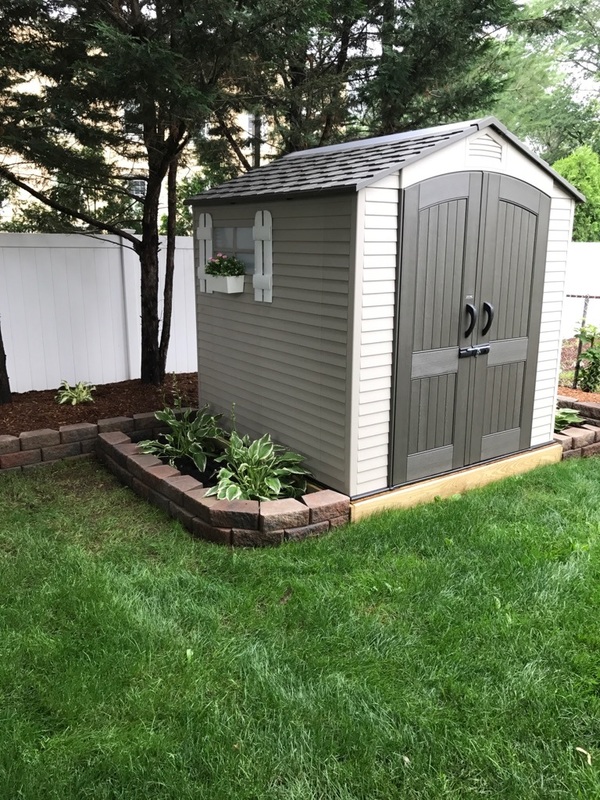 My husband and I could not be happier with this shed and the way it went together. It is perfect for our needs, perfect size, very good quality, and looks great in our garden. It was a bit intimidating when the boxes arrived by freight and were hauled down the driveway on a large pallet. However, it was easy to unload the pieces from the boxes and lay them out in the garage for assembly. All pieces were included and everything came together with perfectly aligned holes (which can sometimes be a problem if the manufacturer does not have good quality control). It is obvious Lifetime takes care during the manufacturing process. Yes, there is little text in the instructions which caused us to pause and scratch our heads at a couple of points, but we did figure it out. It is probably a good thing that my husband is fairly handy at things like this and his skill and intuition on how things needed to fit resulted in our complete satisfaction. In addition, we decided to construct a cement foundation which we did by ourselves a couple of days before. This insured a level surface and likely eliminated a lot of headaches. Working together, it took us about 6 hours to complete the shed construction. He used a power screwdriver for most of it which made things a lot easier. The doors open and shut perfectly and I have hung up a rack inside for all my garden tools which gives me a lot more room. In addition, my husband is planning to hang up some pegboard inside for additional storage capability. Once again, we could not be more pleased with this purchase. At the sale price of $799 with no tax and no shipping, it was much more shed for less money than we could have purchased locally or through the big box stores. Received our Lifetime Building and it was delivered on time and the directions were great took two of us 4 hours to put together, including the green treated lumber base. great quality and loved the windows and sky light on top. doors were tight. excellent product and high quality! 5 thumbs up! Great! Easy to put together and looks good. Q: Two questions; 1. The 60014 is listed as the same as the 60042, but without windows. Is it available? 2. A comment by a customer stated that she paid $799. Is there a time when this shed goes on sale? Thanks for your help. A: 60014 has one window. 60042 has two windows. The sheds do go on sale from time to time, but we don't have a specific schedule. 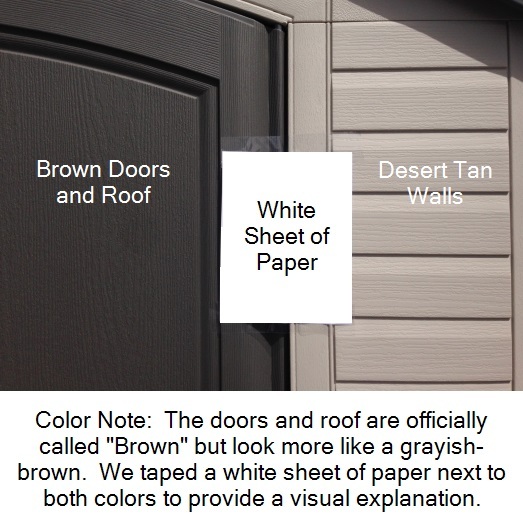 A: The storage shed only comes in one color and that is with these walls being desert tan and the roof and doors being brown. A: Check our stock message on the listing for stock status. When items go out of stock you can still pre-order to reserve your shed, and help it ship out faster for when it arrives. We have a special promotion going on right now in which we are giving away a free 3-pack of shelves with every Lifetime Shed order. 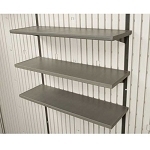 Q: What is the external height of this model 60042? I need to find out if I can fit it on my concrete pad that is under my deck. Thanks. A: The external height is 89.6 inches. You will notice underneath our main picture we have smaller thumbnail pictures. One of those is a diagram that shows all the dimensions of this. Feel free to contact us with any other questions. Q: Does this include the floor? If so, do I still need a foundation? A: Yes, this does include the floor. You do still need some type of foundation whether it is a concrete slab or a wooden base. The important thing is to make sure that the surface is completely flat. Shipping: Orders for the 60042 Lifetime Storage Shed 7 x 7 generally leave the warehouse the next business day. Shed model 60042 comes in 1 box weighing 393 pounds, 85 x 31 x 25. Dimensions: 84" x 31" x 26"